Barcelona has a large number of resale properties that all have their own quirks and personality. However, there are significant advantages to buying something from one of the many new build developments in Barcelona. We have one of the most complete portfolios of Barcelona New Build Developments. Contact us if you do not see what you are looking for. We will have it for sure. One of the most important advantages of buying a new build property in Barcelona is that quite often you can negotiate a flexible payment structure. Also possibility of owning a new property usually includes all of the modern fixtures and fittings in an apartment that may be set in one of the beautiful gothic or medieval areas of the city. An irresistible mixture of old and new. New build properties in Barcelona usually provide a significant return on investment. The possibility to buy into a development before completion can give you exactly the investment in Barcelona you are looking for. Another significant advantage of buying new build property in Barcelona is that the developer by law has to offer a ten year guarantee on the completed property. This provides additional peace of mind when it comes to investing your hard earned in a new project in Barcelona. The PGA Catalunya golf resort is possibly the reference for property and golf in northern Spain. Luxury boutique development in the heart of Eixample Izquierdo, ten apartments including two penthouses. Prices from 740,000 Euros. A rare opportunity to own a loft apartment in Barcelona’s Gracia district. An old industrial building converted into wonderful new hones. 11 beautiful apartments, one classic building. 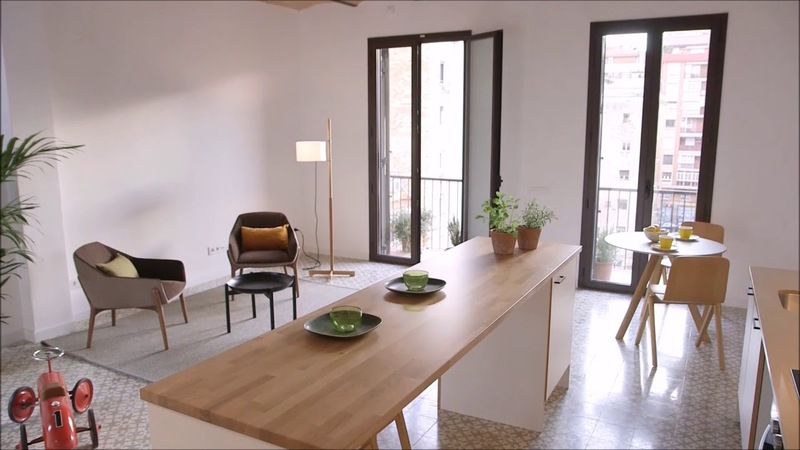 Own something extraordinary in Poble Sec. Limited Availability, request details today. A fine example of an Eixample building conversion – buy reformed or reform yourself! Large apartments at great prices! Beautiful classic building renovation project featuring luxury apartments with communal pool and gym. Prices from 653,000 Euros. Affordable city centre apartments in brand new building in Parallel. Prices from 340,00 Euros. Boutique city centre project with just 4 apartments, one per floor, prices from 420,000 Euros. Key Ready Luxury Apartments just steps from Port Vell, Stunning qualities, location and design conspire to bring you the best in Barcelona apartments for sale. One classic building turned into 11 stunning apartments. Own something truly extraordinary in the heart of trendy Poble Sec. In a quiet residential street in the heart of Barcelona’s Gracia neighbourhood, we find this incredible building. 2 remaining units from 4750,000 Euros. Own your own piece of Barcelona’s Gothic History. 21 Apartments in an historic building with a gorgeous illustrated façade dating back to 1689. You can always contact us for information. We are more than happy to help!